Wait what? Brandblack? If you’re not yet aware of the show stealing collective called Brandblack, then get familiar or better yet, get with the program. 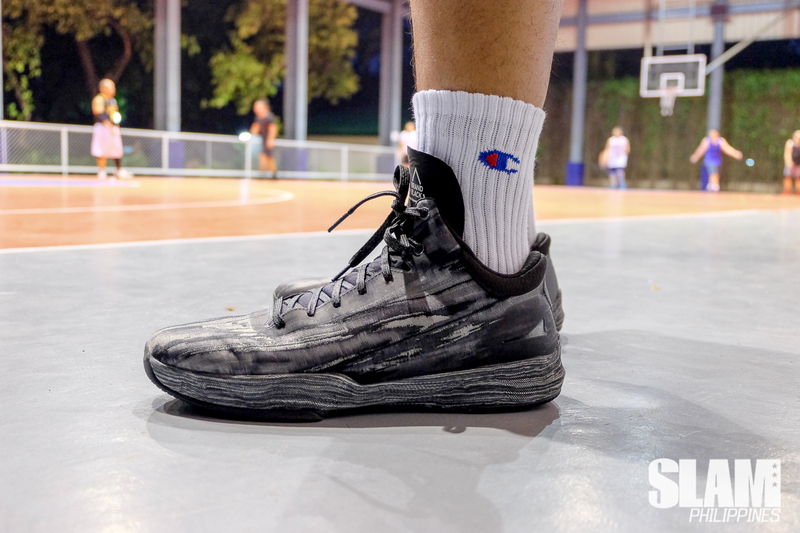 With previous projects like Jamal Crawford signature sneakers as well as collaborations with Weartesters and Titan, the brand keeps expanding its horizons and is ready to take Manila by storm. Let’s take a look at one of their lead performance kicks, the Rare Metal. This one though, is the latest version, part of the ‘Watercolors’ collection. Brandblack has been a force with basketball performance sneakers and the Rare Metal just amplifies that statement. 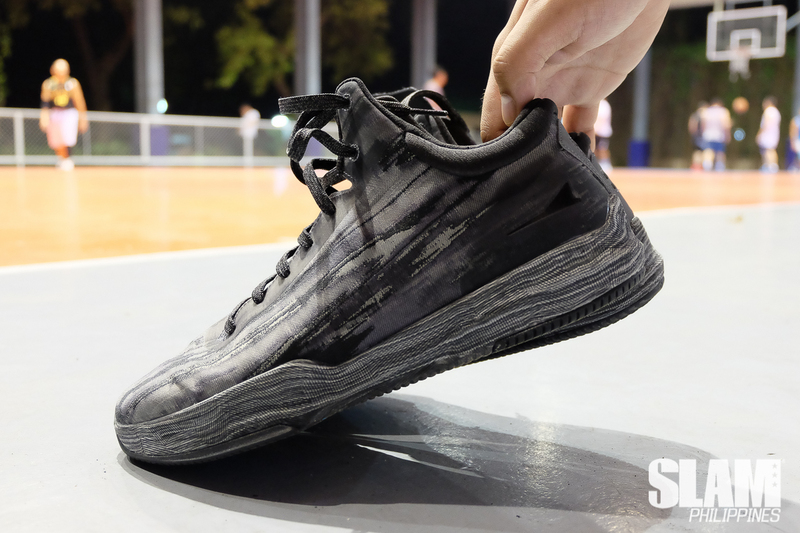 There are a couple of main traits that make this shoe a must for those who play all the time. What surprised me with this was the ability to hoop with them right out of the box. I’ve done this twice, first time with the J.Crossover 3 and with the Rare Metals. It was no coincidence that both times, it felt like I’ve been playing in them for several times. The semi-sock construction of the shoe locks you in as soon as you wear them, providing a secure, snug fit. You know how with some sneakers, the tongue moves around sideways and it bothers your foot? This doesn’t happen here. With its high-density foam material, even when the shoelaces loosen, everything is kept in place for a smooth ride. These run true to size. If you’re on the heavier side, you might find it a bit of an adjustment and be wary of the super thin upper at first, but you’ll be fine. 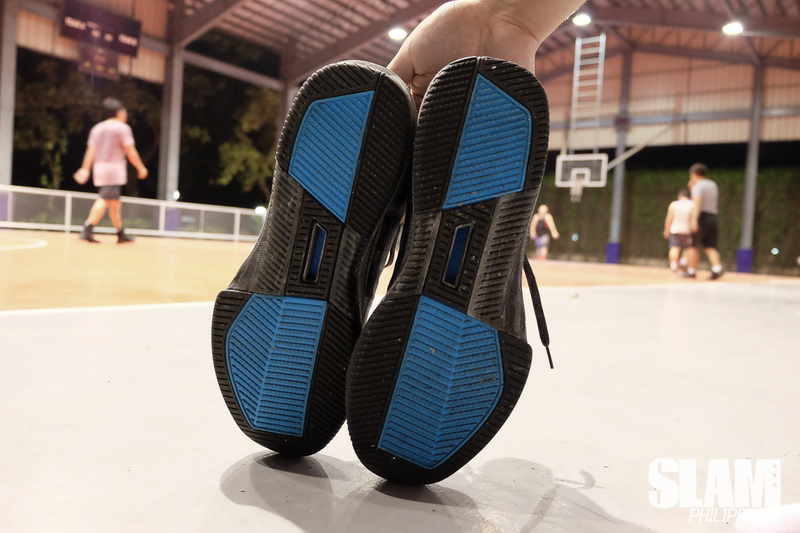 Another BB silhouette that you should try if you want that “no break-in” feel is the JCrossover 3. Excellent out of the box to court floor fit. Ultra Light Beaming at 11oz. This will surprise you. The medial forefoot area has been placed with a motion control system designed for quicker lateral movements. The outsole traction patterns on these remind me of your car’s windshield wipers when they keep going even if the window has dried up. The Squeegee inspired traction blades can absorb any court surface pounding with its excellent grips. This is not the best traction pattern out in the market but will definitely put up a fight against competitors. 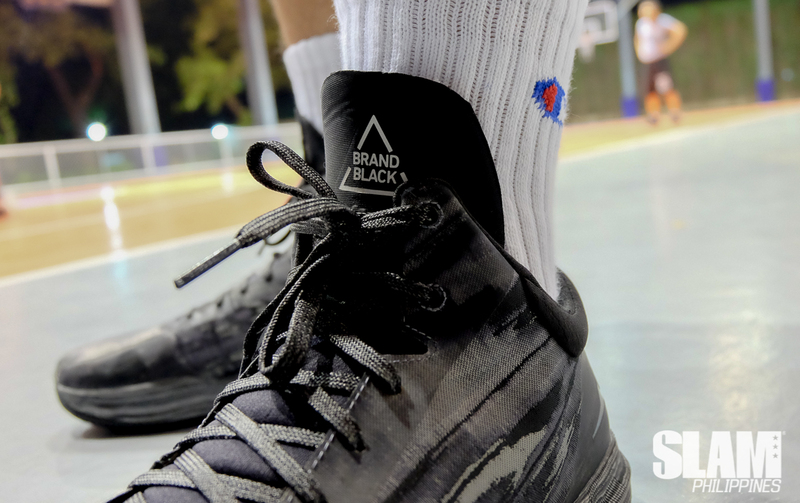 I observed the recently concluded Brandblack Trial Runs at Titan Love Court. I wanted to see how these would do being tried on by at least 3-5 different people. Upon checking on the soles, they still looked good as new and showed no signs of wear and tear proving the durability of the Rare Metals. Less is more. This is a simple, straightforward basketball performance shoe. Simple but striking uppers, the Watercolor version meets in the middle, with a strong woven Jacquard knit upper as a second skin. The glaring difference on the Watercolor is the marbleized, brushed midsole. 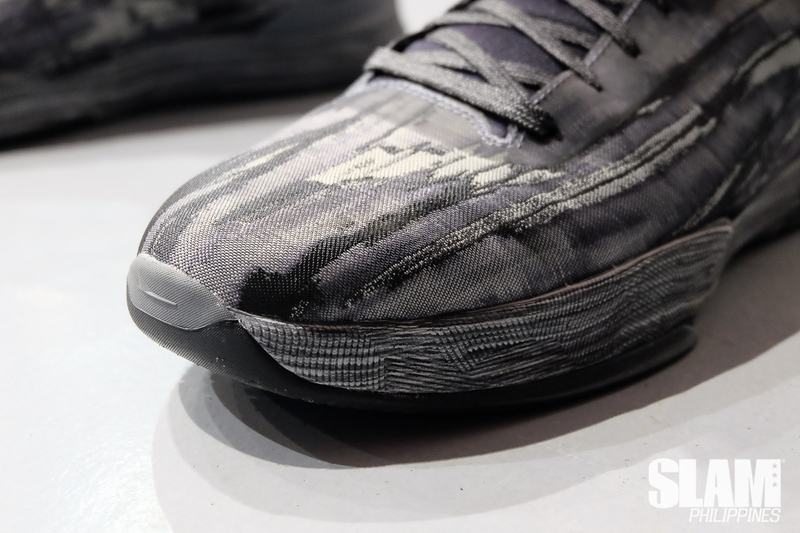 Instead of the regular paint, EVA or Ethyl Vinyl Acetate is injected into the shoe. 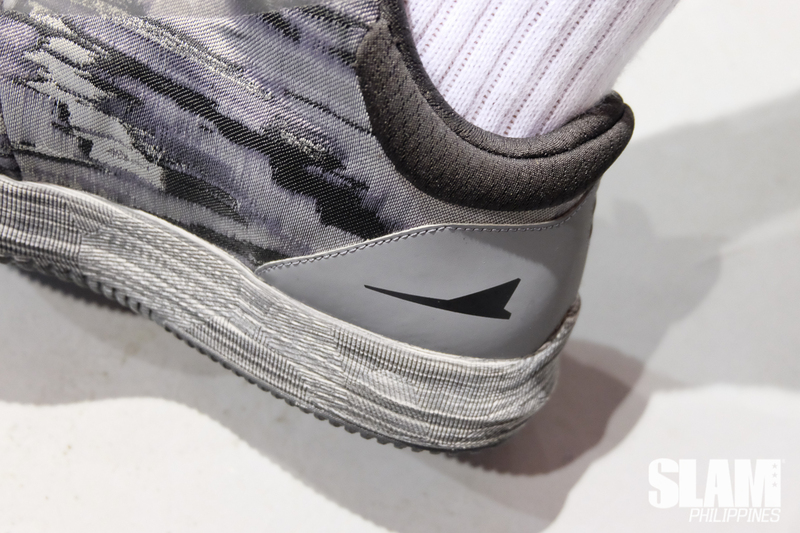 The theme feels like an art piece with brush strokes and splatters all over the upper. The Rare Metals are so technical, it will get you ejected. A crazy part of the shoe is the Jet-lon plus foam allowing 40% more bounce than standard EVA. 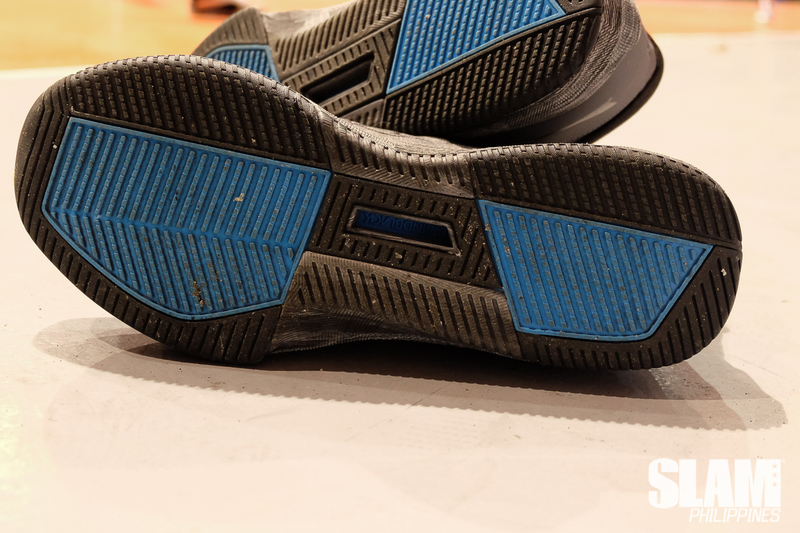 This results in the shoe sitting 25% lower to the floor, increasing stability and cushioning. 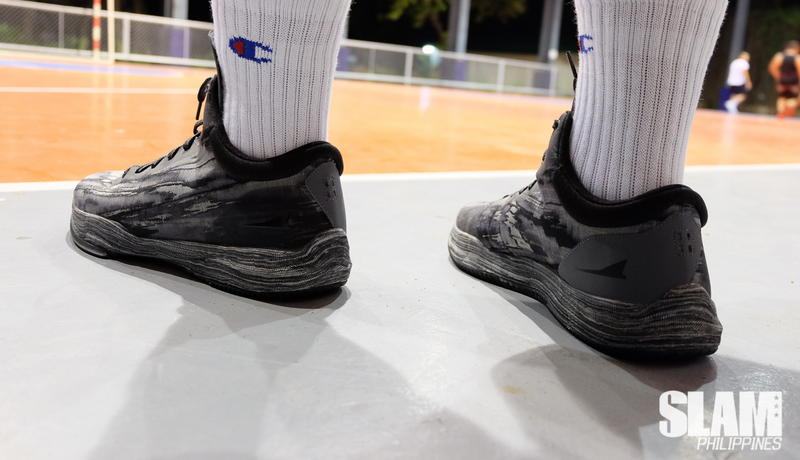 At your highest pressure points during game time, the thermo-plastic mid-foot shank supports the whole mid-foot giving you enough protection all through out. The fused support within the shoe results into 0.3mm ultra thin thermo-plastic film that is welded all over. This will provide you with security worthy of 1st team All-Defense. The outer of the RM’s have an outrigger with a small asymmetric radii and a bigger one inside that help drag your foot when you do those hard cuts. What they’re calling a Hybrid-Cut upper, will feel like how the game is played today. Big men shooting outside, wearing low tops, guards lobbying inside the paint for a rebound. 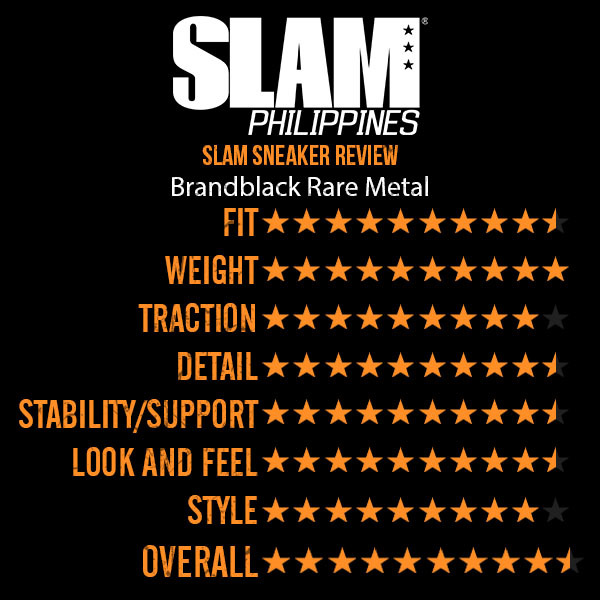 The Brandblack Rare Metal perfects that balance and will feel like a shoe that has no boxed in identity, one for all. This is for the culture. Brandblack has been on a roll with their two prong attack of lifestyle and performance collections. The Hinterland collection proved their capability to expand their boundaries and succeed with their out of the box approach. 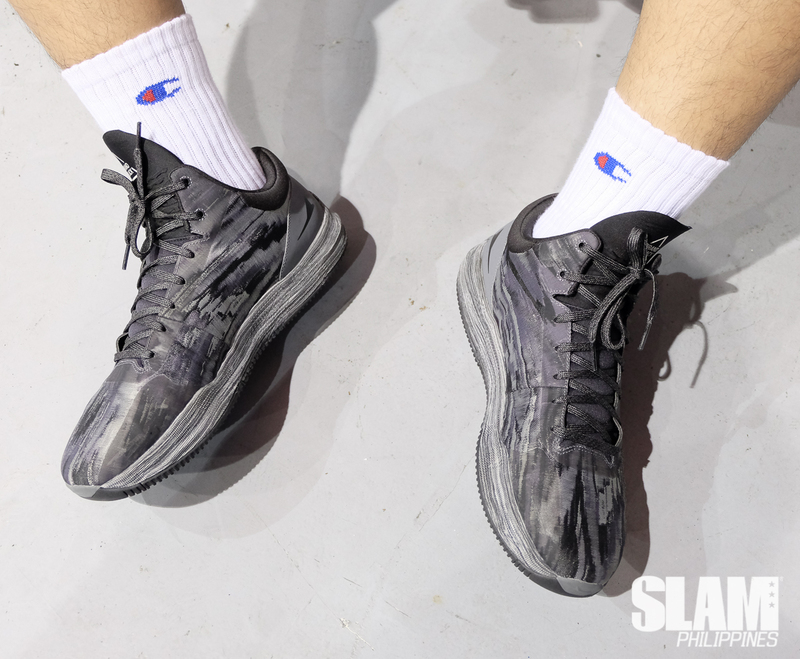 The recently concluded Brandblack Celebrity Showcase game showed just that. 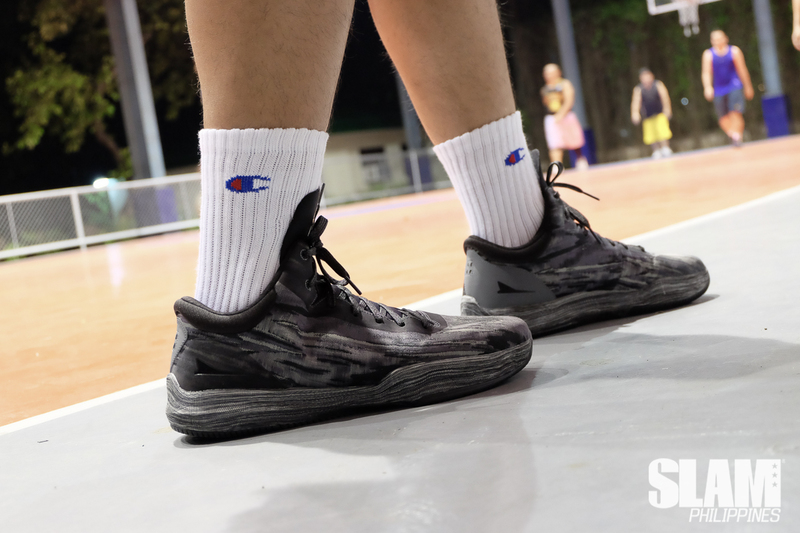 Celebrities like Gerald Anderson, Rayver Cruz, Luis Alandy and Marco Alcaraz balled out with the likes of Paulo Hubalde, Charles Tiu and Young Jv. A simple, minimalist shoe that covers all aspects, you just can’t go wrong. Price point is perfect for those who want a straight up beater shoe. Wear them out. Enjoy them. Squeak them on that floor. I can’t wait for what’s next from the guys over at Brandblack. The Brandblack Rare Metal is available now at a Titan shop near you. Stay tuned for release details on the Rare Metal ‘Watercolors’.